What do Goodwill donations and cash contributions to your favorite non-profit organization have in common? Both transactions can help you save money on your federal tax return! When you receive our Individual Tax Organizer in January, there is a page dedicated to your cash and non-cash contributions. We ask you to provide us with information about the amount of your contributions, to which organization you contributed, and on what date. We also ask that you provide receipts from the organizations to which you donated cash or goods. If your donation is valued at $5,000 or more, we will request more information from you about the transaction. Why do we ask for all of this documentation? Without properly reporting and retaining information about charitable contributions, you are at risk for the IRS denying your deductions. The IRS states that you must keep records about your charitable contributions. You should hold onto cancelled checks, receipts or letters from charitable organizations, cost basis reports and appraisals of donated property. For more information about how long to keep your records, check out this post. What is considered a charitable contribution? 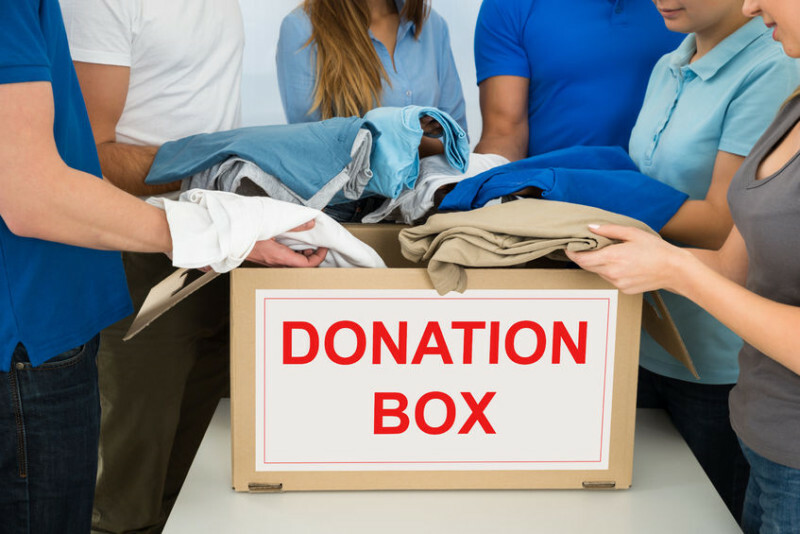 Cash and non-cash contributions, including clothing and household goods donations to Goodwill or the Salvation Army, qualify as charitable contributions. Taxpayers who volunteer their time for charitable organizations can deduct unreimbursed expenses that are directly connected with the volunteer services and mileage. Volunteers are NOT permitted to deduct the value of the time spent volunteering for qualified organizations. Taxpayers need to make sure that the organizations they contribute to are Qualified Organizations. See the chart below from the IRS Publication 526. You can also search for qualified organizations here. Please note, political campaign contributions, homeowners’ associations and country clubs do NOT qualify as charitable contributions. The IRS will deny your deductions if you claim contributions to non-qualified organizations. This means that you could owe additional tax. How do you estimate the fair market value of your non-cash contributions? Goodwill and the Salvation Army have donation value guides on their websites. If you donate a vehicle worth more than $500, the organization should provide you with a Form 1098-C. We will attach this form to your tax return for the IRS. 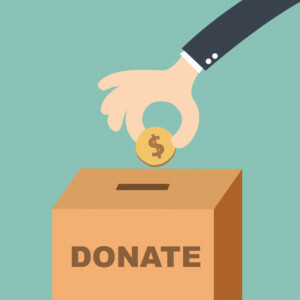 If you receive a benefit as a result of making a donation to a qualified organization, you are only permitted to deduct the amount of your donation that is more than the value of the benefit you received. For example, let’s say you purchased a $200 ticket for a dinner event at a qualified organization. The value of your meal is $75, so only $125 of your total ticket price is deductible as a charitable contribution. Taxpayers also have the option to donate stocks and other securities to qualified organizations. One of the biggest benefits of donating stocks is that any gains on the appreciated value of the stock are not taxed as capital gains on your tax return! If the stock is donated, instead of sold, you can reduce your capital gains and increase your itemized deductions. If you decide to contribute stock to a qualified organization, please provide us with the original purchase date and cost of the securities, as well as the date of the contribution, fair market value at the date of contribution, and written acknowledgement from the qualified organization. Cash and non-cash contributions to qualified organizations are great ways to reduce your federal tax liability and to support organizations you care about. In order to benefit from the tax deduction, make sure you provide us with written acknowledgment of the donation and that you are contributing to a qualified non-profit organization!